The End Of The Antique Season?! 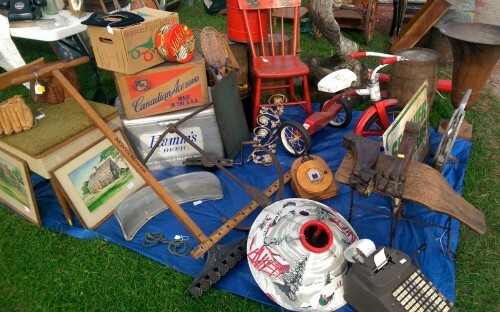 After all that, this weekend is the last Elkhorn Antique Flea Market of the season! Here’s just some of the goodies we brought. Stop by and see my parents and I in both #216. We’d love to see you! All of this reminds me that the entire summer has flown by! Pretty soon it will be time for the October issue of the Dolls By Diane newsletter — just what will I have in store for you to learn about dolls this Halloween?! Could it be even more creepy dolls? You’ll have to wait (and subscribe!) to see! 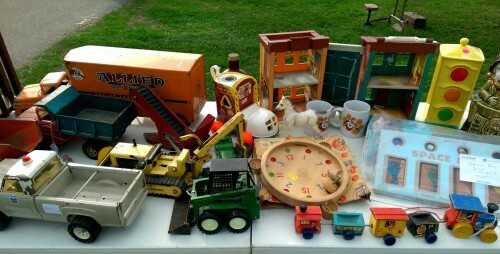 While the weather may be putting a damper on the flea market season, antiquing never really ends!